Free shipping. Buy direct from HP. 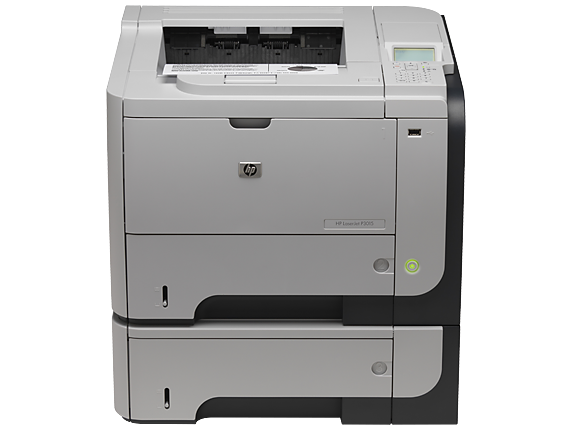 See customer reviews and comparisons for the HP LaserJet Enterprise P3015x Printer. Upgrades and savings on select products. Get fast, high-performance printing with advanced security features. Expand as your business needs change, using an open EIO slot, open memory slot, two internal accessory ports for connecting HP and partner solutions, and optional paper trays. For security-focused businesses that need to print high volumes and confidential documents on a variety of paper types. 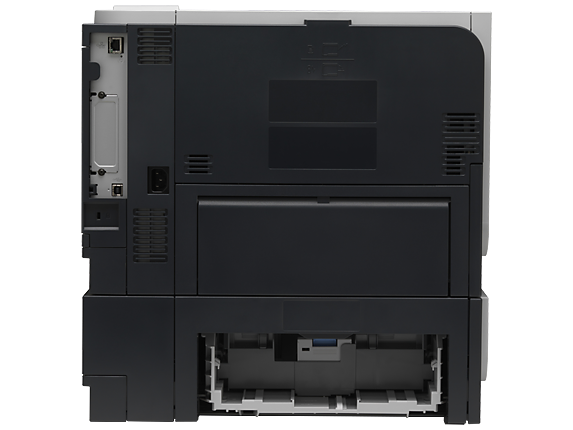 Extend your printer's capabilities as your business needs change, using an open EIO slot and two internal accessory ports. Plus, the printer's open memory slot allows you to add memory up to 512 MB, for total memory of up to 640 MB. Improve your productivity. Get the capacity to do more with a 1600-sheet maximum input capacity. Add an optional 500-sheet paper tray for better paper handling. Meet your business needs with robust paper handling. Automatically print on different types and sizes of media—up to A6—with easy-to-load, adjustable paper trays. Conveniently connect and house your security card swipe and HP and third-party authentication devices with the hardware integration pocket.Help secure business-critical data using IPSec and other advanced security featuresEasily retrieve stored confidential print jobs. Retrieve a list of stored jobs using the "menu" button and enter your PIN using the 10-number key pad on the printer's control panel.Add a secure hard disk to the printer's open EIO slot. The optional HP High-Performance Secure EIO Hard Disk provides advanced security features to protect sensitive data at rest on HP printers and MFPs--without impacting device performance. Extend your printer's capabilities as your business needs change, using an open EIO slot and two internal accessory ports. Plus, the printer's open memory slot allows you to add memory up to 512 MB, for total memory of up to 640 MB.Improve your productivity. Get the capacity to do more with a 1600-sheet maximum input capacity. Add an optional 500-sheet paper tray for better paper handling.Meet your business needs with robust paper handling. Automatically print on different types and sizes of media—up to A6—with easy-to-load, adjustable paper trays. Get convenient, walk-up printing, using the front-panel Hi-Speed host USB 2.0 port. Increase your manageability with a full portfolio of innovative HP Certified Partner solutions that integrate easily into your existing infrastructure.Reduce calls to IT. Users may easily use and maintain the printer with convenient features like the four-line LCD control panel and the "Show-Me-How" menu.Easily setup and manage your print fleet with industry leading, award winning HP Web Jetadmin, and the HP Universal Print Driver. Easily install, configure, monitor, troubleshoot, and manage your printing devices from anywhere on the network.Enjoy easy recycling—cartridges returned via HP Planet Partners are recycled responsibly. 1For dn, n, x printer models only. The HP LaserJet Enterprise P3015d printer includes the features of the HP LaserJet Enterprise P3015 printer, plus automatic two-sided printing, a 10-number key pad, and a hardware integration pocket. 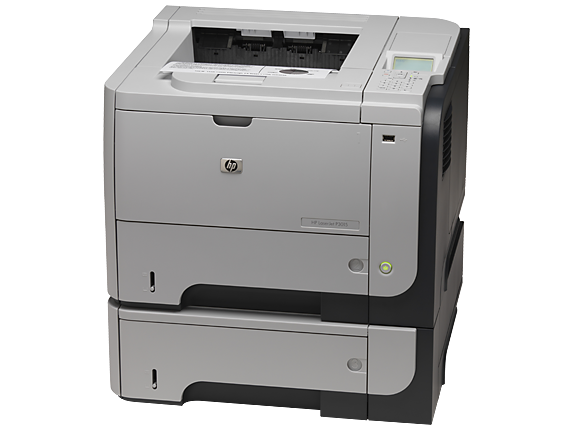 The HP LaserJet Enterprise P3015dn printer includes the features of the HP LaserJet Enterprise P3015d printer, plus networking. The HP LaserJet Enterprise P3015x printer includes the features of the HP LaserJet Enterprise P3015dn printer, plus a 500-sheet input tray for a 1100-sheet total input capacity. 2For dn, n, and x models only. 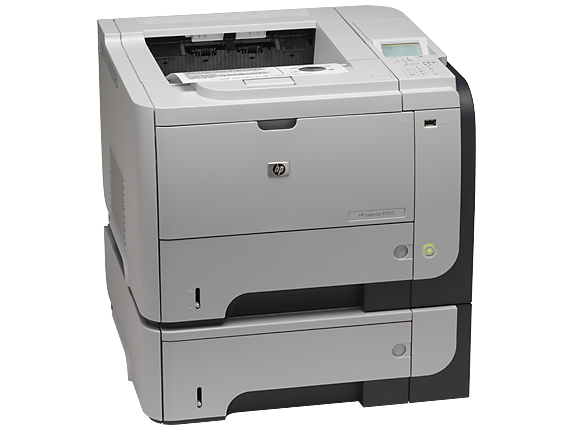 The HP LaserJet Enterprise P3015dn printer includes the features of the HP LaserJet Enterprise P3015d printer, plus networking. The HP LaserJet Enterprise P3015x printer includes the features of the HP LaserJet Enterprise P3015dn printer, plus a 500-sheet input tray for a 1100-sheet total input capacity. 3Based on third-party testing from Quality Logic, commissioned by HP. See full reports at http://www.qualitylogic.com/Contents/Library/Test-Reports/HP-Instant-On-Performance-Reports.aspx 4Results are based on internal HP testing using the ENERGY STAR(R) program's Typical Electricity Consumption (TEC) method. Test data was extended to one year. Testing was on a single unit of each product. Individual product configuration will affect power consumption. 5Not included, please purchase separately 6For dn and n models have a 600-sheet standard input capacity, and the option to add two 500-sheet trays; x model has an 1100-sheet standard input capacity, plus the option to add a 500-sheet tray. 7Supports PDF, PRN, and PS file extensions. 8Available in select countries. For more information visit: http://www.hp.com/recycle.